I don't like not knowing the answers. I'm sure it comes with the territory of a relatively easy school career, of becoming accustomed to praise for getting it right. Not knowing feels like dangerous ground. In a strange way, it's probably one of the motivations that drove me back to graduate school, not once, but twice: this insatiable need to know, and to be right. Except that sometimes, not-knowing is actually useful. A few weeks ago, I heard an interview on NPR with Leah Hager Cohen, whose recently-published book I Don't Know: In Praise of Admitting Ignorance (Except When You Shouldn't) is not just an encouragement to confess ignorance, but to embrace uncertainty and honor doubt as a way to increase the possibilities for true communication. In other words, not-knowing helps us to know in a more authentic way. I was a little blown away. I shouldn't have been, of course; I devoted seven years of my career before my current job to creating collaborative research placements for undergraduates, because I was so convinced of the value of not-knowing. It wasn't just that I wanted to show them that knowledge comes from somewhere, and to show them that the process of arriving at knowledge was just as--if not more than--the knowledge itself, but to help them realize that there were instances in which even the people whom they most feared and respected, their professors, didn't know, either; it's a concept that dates back in writing at least to Socrates. I wanted to destabilize the traditional balance of power in the classroom, in the typical Freirean way making authentic learning possible by helping students to feel like co-creators. I used to talk with groups of academically at-risk students about imagining faculty members as learners, too, and feeling comfortable approaching them as fellow learners, as people who regularly screwed up, made mistakes, and were just plain clueless. That usually elicited guffaws from the audience, but I know for a fact that it made a difference, because many of them started going to office hours. Cohen pointed out that this year's graduating high school class has, essentially, grown up under the No Child Left Behind Act; we are looking at an entire generation of students for whom there is a very real premium on knowing the right answer. Not knowing has always had real consequences, not just for them, but for teachers, for school budgets, and therefore, for all of their peers. The stakes around knowing are pretty high, and not knowing is ... well ... practically a crime. Of course, the attitude is pervasive far beyond school. People reassure us that there's no such thing as a stupid question, but I bet you've asked one yourself, haven't you? You know what this is like: the sinking feeling that everyone knows the answer but you, and when you finally do muster up the courage to ask, you can see the muffled snickers and wide eyes that reveal the way people really feel about your question. They will talk about you when you leave the room. This "missed" communication happens even in polite conversation, when people talk about other people we really ought to know, or make cultural references that fly right over our heads. We know how immersion--being placed into an environment where it's nearly impossible to ask ALL of the questions you might need answered--is a powerful learning tool. So when is it appropriate to confess to ignorance? I started a new job for the second time in two months, and while I feel confident that I have transferable skills, there's a lot I'm learning all over again. I am doggedly self-sufficient, but the learning curve is steep, and institutional knowledge runs deep. I want to look smart. Don't we all? But I will make mistakes (in fact, I already did make a mistake), when I think I know something, and it turns out I don't know after all. I will have to ask questions. If I'm lucky, some of the questions will surprise everyone, and will shake their assumptions, or identify gaps in knowledge. Maybe they won't know, either. And in the end, maybe we can try to re-value inquiry, not just as a theoretical academic value (because YES of COURSE we value inquiry!) but as a way of being in the world. Heat the oil in a large pot over medium-high heat. Add the onions and potato, and saute, stirring occasionally until the onion is translucent, about 5 minutes. Add garlic and saute another minute or two until that starts to soften, too. Add the curry paste and mix to coat, stirring continuously until the curry is fragrant, about 2 minutes. 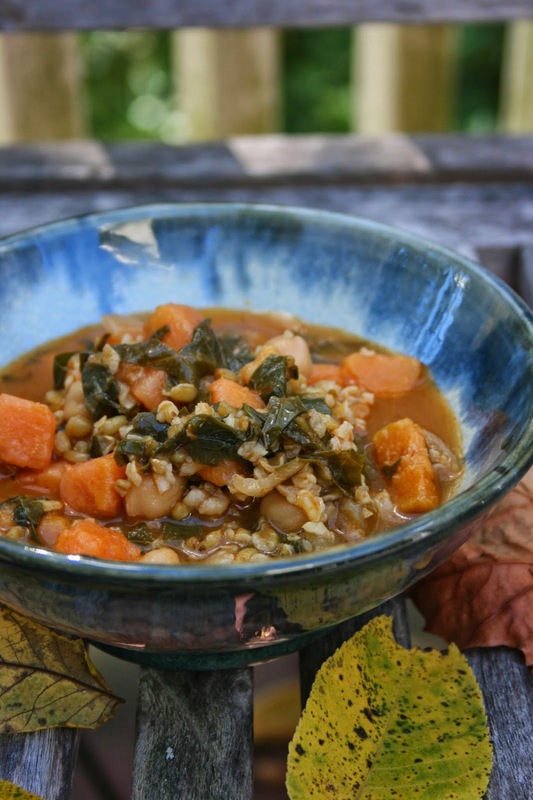 Stir in the freekeh and broth, and bring the soup to a boil. Cover, reduce heat, and cook 20 minutes. Add the chickpeas and kale; cover again and cook until the kale is just wilted, between 5-10 minutes, depending on how small you've made chopped the kale. 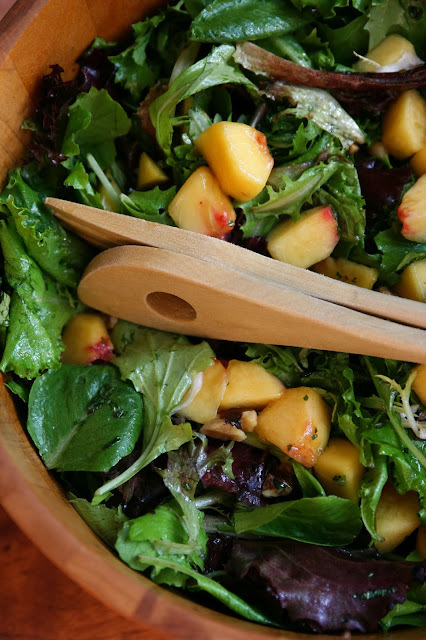 Serve in a beautiful bowl, knowing that everyone at your table will devour it. I don't know about you, but this has been too much déjà vu for me. Gunman with a history of mental illness enters a building to which he has legitimate access, opens fire, and mows down multiple innocent people. An outraged public demands better gun control. Media track down the gun purchase, only to discover that it's entirely legitimate. A nation mourns. My heart aches for the families of the dead. But doesn't the fact that this continues to happen suggest that we need to consider a different approach to the problem? Tuff begins the encounter by relaying the gunman's demands to the 911 operator. But soon she begins to interject her own responses to his comments, and that, in the end, is what changes the situation. In the moment when she chooses to validate him as a human being, to see him as something more than a gun-toting maniac, the monologue becomes dialogue: "He said he should've just went to the mental hospital instead of doing this because he's not on his medication. But do you want me to try - I can help you. Let's see if we can work it out so that you don't have to go away with them for a long time." As the conversation continues, Tuff connects with the shooter through her own vulnerabilities. She talks with him about her own suicidal thoughts, her separation from her husband, her multiply disabled son. And then, the part of the conversation that blows me away every time I hear it: "It's going to be all right, sweetie. I just want you to know I love you, though, OK? And I'm proud of you. That's a good thing that you're just giving up and don't worry about it. We all go through something in life." Love him? Remember, she is talking to a stranger who was, not minutes before, armed. When, I wondered, was the last time someone said that to him? What I don't understand is if Aaron Alexis was hearing voices six weeks ago, and actually told people about it, actually asked for help, why wasn't there someone to help him? Where was the Antoinette Tuff of the Navy Yard? There have been more "mass shootings" since Newtown than you've probably realized, since the FBI's definition of mass murder involves the killing of four people. Most of the shooters were unrelated to either most or all of their victims. Most of them expressed some kind of desperation, some kind of estrangement, some kind of mental disturbance. There was an insightful article in the NYTimes today about schizophrenia patients and the voices in our heads, suggesting that local culture plays a significant role in the manifestation of mental illness, and that if we--I would argue, patients and communities--treat unsettling voices with dignity and respect, then we can change them. I'm not suggesting that we don't need to talk about gun control. I have two small children, and I don't understand why civilians need to own semi-automatic weapons intended for military use. But I also know that if someone wants a gun badly enough, he--or she--is going to get it, regardless of what the law says. And I think that there's a lot of truth to the old adage about catching more flies with honey than with vinegar. We don't need all need to become social workers, or experts in dealing with mental illness. But we can learn the equivalent of mental CPR. And we need to see the mentally ill, instead of pretending that they don't exist, or that they're not our problem. Because when someone decides to purchase a gun and kill twelve innocent people, it is our problem. Isn't it about time we employed the ethics of care? Here's a vinaigrette in which the tang is tempered by local honey. Invest in a good one, because you will be able to taste it. Whisk mint leaves, honey, rice vinegar, and salt in a bowl. Continue to whisk while pouring in vegetable oil; mix until emulsified. Add peaches and toss to coat. Empty mixed greens into a large bowl. Top with peaches and walnuts, and toss gently. Serve. "Do you know what my best secret power is?" my father-in-law asked me, relaxing into the pillows on our couch. He had driven five hours from New Hampshire the night before to help me corral and chauffeur children to school and day care while S. was away on business and I attended some evening programs for work. I had been giving him directions for the evening, finding menus and money for pizza, discussing diaper changes, and reviewing the arrival of my son's bus. "No," I said. "What's your best secret power?" "That I know it just doesn't matter." He gave me a satisfied smile. "Whatever happens, I can handle it. And in the end, it comes out fine." I nodded, and grinned sideways at my son, who was still tying his first sneaker, three minutes after he'd started the process. I was trying to get out the door at get to work, and it was taking all of my willpower not to grab the shoelaces away and tie them myself. "Grandpa goes with the flow." My father-in-law is not a Buddhist, but if I were going to conjure a contemporary Buddhist, he fits the bill. He thinks nothing of picking up and driving to Florida on a whim to go kayaking. He makes scores of plans, because even he recognizes that you can't do very much in life with no purpose at all, but then changes them when it becomes obvious that they won't work, for whatever reason. He is completely unattached to the consequences of his actions, though he has, without a doubt, excellent intentions. This is precisely where Buddhism stymies me. The non-attachment to consequences. Because if you're trying to do something positive, aren't you going to be a little frustrated when things don't work out? How are you supposed to aim for good, but then simply decide that it doesn't matter? That you've set things in motion, and that they will run their course? It would be like a doctor prescribing medicine to a patient, and then feeling content when the patient doesn't get well. If my father-in-law's secret power is that he can find it in himself not to care, my greatest limitation is that I care entirely too much. It doesn't help that my secret power is organizing things to run like the Deutsche Bahn of old, before it started to lose its reputation for perfection and punctuality. Then again, I guess sometimes you just have to approach life like a salad. You start out with a bunch of high-quality ingredients, and you throw them together, with some sense that you're going to end up with something edible, even if it wasn't entirely what you intended in the first place. Even I know that you can't save every patient. Or win every tournament. And if we couldn't accept that, at some level, we would suffer from perpetual paralysis. Like yoga, it takes practice. And my father-in-law has been practicing for a long time. 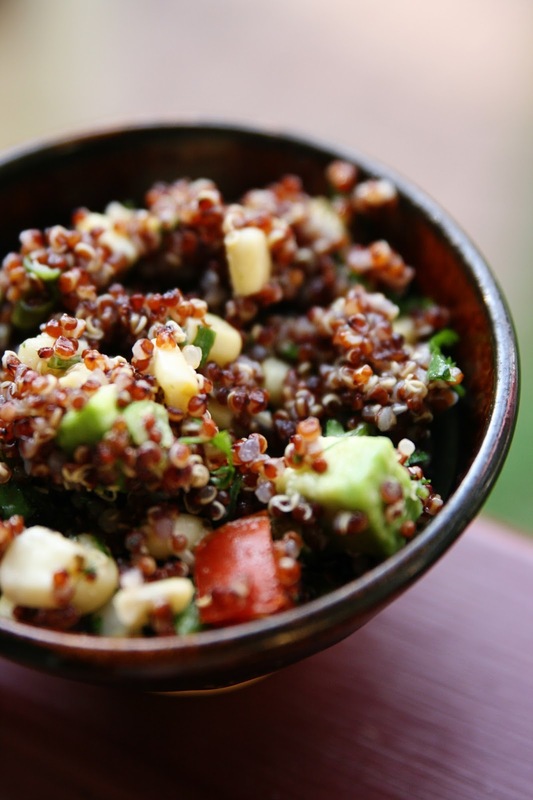 In a large bowl, mix together cooked quinoa, corn, cilantro, green onions, and tomatoes. Gently fold in avocados. Whisk together lime juice, olive oil, and vinegar, and mix until well-combined. Add dressing to the salad, and mix gently. The yellow gas light flicked on, and I may have cursed under my breath. That light never goes on, because I am slightly obsessed with keeping my tank at least half full, certain that some day I will forget, and get stranded with an empty tank at dusk in the Sourland Mountains, where I will be eaten by wild turkeys or possessed by the ghost of John Hart. My commute takes me through long stretches of nothing, which is beautiful, but also a little inconvenient. I was grateful to see the gas station at the bottom of the hill, where I'd half-remembered passing one in that subconscious driving state you hit mid-way through a commute, and pulled in, kicking myself for not filling up at the ExxonMobil with my husband's company discount Speedpass. "Hi, there. Fill it with regular, please?" I always use my 'cheerful' voice for the gas attendant. I imagine--perhaps naively--that life gets pretty boring at the pump. He nodded. I fiddled with my iPhone, responding to the five email messages that had come in during the twenty minute drive to this point in my commute. "Ma'am?" He cranes his neck slightly to see me, nozzle in his hand. I reel myself back out from email. Yes, sonny? I think. "Hm? Oh ... yes?" "You know, if you ever need your iPhone fixed, I fix them." The unsolicited advertisement takes me a little by surprise. I don't expect my gas attendants to be engineers. "Wow. Really?" He proudly holds up his iPhone. "Cracked screen, new button, I do anything. See this one? I did it myself. I like the black button with the white background. Better contrast. Like it?" He has an audience now, captive by the hose connecting me to the pump, and tells me how difficult it is to take the front off, how comparatively easy it is to take the back off, how long it takes him now that he knows how to do it (20 minutes, instead of the four hours it took him the first time). I listen, admittedly rapt, and assure him that I'll remember him if I ever need his help. There have been other memorable gas stops: the night I discussed New Jersey politics with the surprisingly informed balding attendant who welcomed me from his lawn chair, feet propped on an overturned plastic bucket, before he said "have a good night, sweetheart." The night I worried over the attendant who clutched at his chest and braced himself against my car, and asked him repeatedly if I could call someone for him, concerned that I might be leaving him alone in the middle of what looked to my untrained eye like a heart attack. And yet, there's also this no-touch rule at the gas station. I give the attendant the SpeedPass (or my credit card, or whatever), which he (because it's rarely a she) gingerly removes from my hand, swipes, and returns with as little human contact as possible. The odd mix of anonymous potential intimacy and complete disconnect, which happens only in New Jersey, home of the full serve. It's sort of like blogging, isn't it? Because naked as we are, our patrons still drive away at the end of the night, after we've handed back the SpeedPass, touching them, and yet not touching them at all. And if we're not terribly good at promoting ourselves, they might not travel that highway again. Graciousness. Intimacy without actually touching. I have a number of friends from the American South who excel at hospitality, in the broadest sense of that word; they come from a culture that cultivates graciousness. I have other, more suspicious friends who are uncomfortable with graciousness, who worry what they'd find under the veneer if they stuck around long enough. For me, graciousness springs from the instant when you look someone in the eye, recognize their humanity, and decide to be kind and compassionate, just for that brief time. Once, long ago, that bothered me. Now? Not so much. Because honestly? I don't think I feel too badly about the drive-by nature of the beast, as long as the conversation was real. If I were Southern, graciousness and hospitality might involve peach pie. But my husband is a Yankee, so we are also a blueberry and crumble kind of family. Preheat the oven to 375F and grease a 9×13 inch pan. In a medium bowl, stir together 1 c. sugar, flour, and baking powder. Mix in salt and lemon zest. Crumble in lavender. Cut in the butter and egg with a pastry blender, and pat 2/3 of dough into the prepared pan. In another bowl, stir together the sugar, cornstarch, cinnamon and lemon juice. Gently mix in the blueberries and peaches. Spread the fruit mixture over the crust. Add the rolled oats to the remaining dough and mix with a pastry blender (or your fingers). 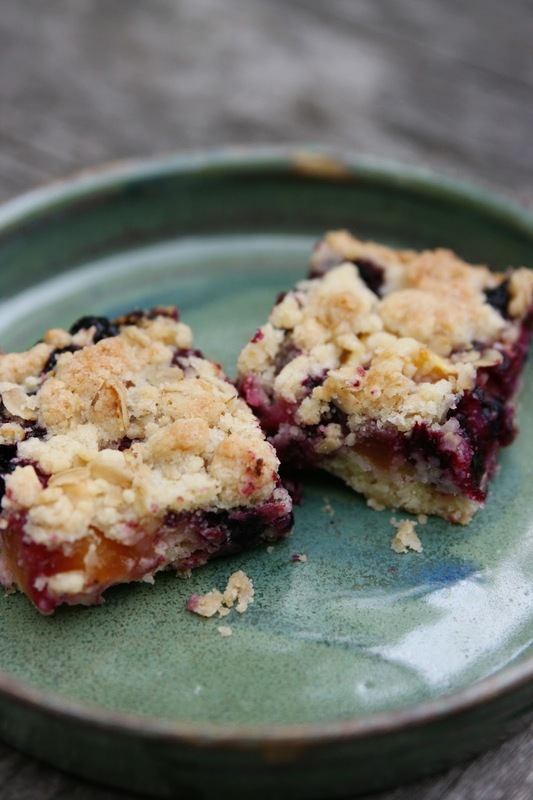 Crumble the dough over the fruit. Bake in preheated oven for 50 minutes, or until top is slightly brown. Cool completely before cutting into squares.